AdDetector - For a more transparent internet. 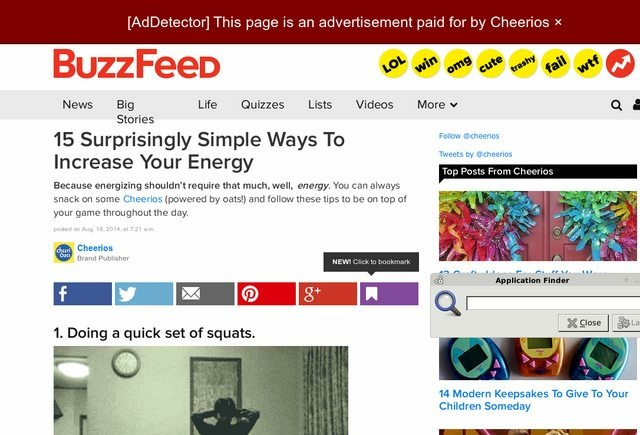 AdDetector reveals articles with corporate sponsors. 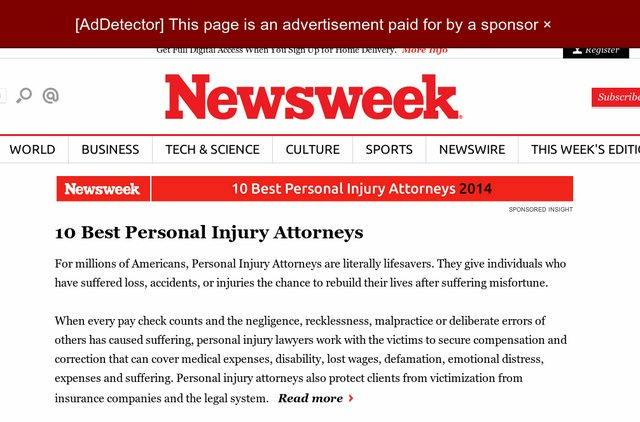 This browser plugin puts a red banner above articles that may appear unbiased but are actually ads or press releases. Its goal is to improve transparency in media and on the web. Trusted by 15,000+ people, AdDetector spots ads in over 100 top newspapers and online publications. More sites are being added daily. If you'd like to see a site added, tweet, email, or use this form. "Native advertising" is a type of advertising that presents ads as unbiased articles. This technique is used by publications like the New York Times, Newsweek, The Atlantic, Buzzfeed, and others. 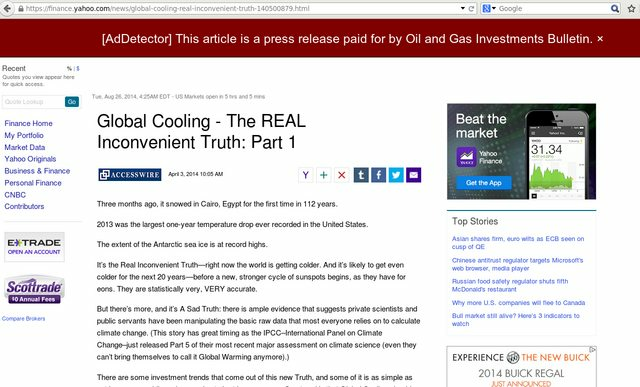 Stories may be marked as sponsored, but these indicators are typically very subtle, leaving many readers unaware that the article is an ad. AdDetector contains rules to identify small sponsored markings. In some cases, these indicators are not even visible normally and instead are hidden in the source code of the webpage. This extension requires permission to run on pages you visit, but your data is never used, stored, or transmitted. For those who wish to contribute or audit, AdDetector is open source. AdDetector is free to use and open source. I value contributions. Looking for an easy way to get involved? Add a rule for a site currently not covered by AdDetector. Please open pull requests on Github. A list of supported sites is available here. » Install AdDetector for Chrome or Firefox.